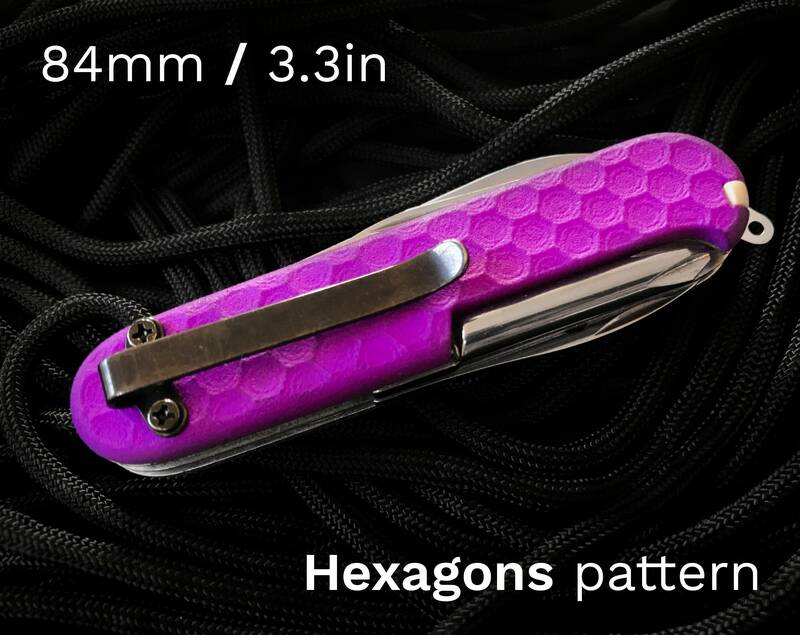 Custom replacement scales for 84mm/3.3in Victorinox swiss army knives with a HEXAGONS pattern. Features a removable deep-carry clip to keep your knife extra secure in your pocket. Scales are made of tough, laser-sintered nylon that feels great to hold and provides excellent grip. Available in a wide range of durable colors.